Select races to include in result. More than mere driver average start and finish positions. 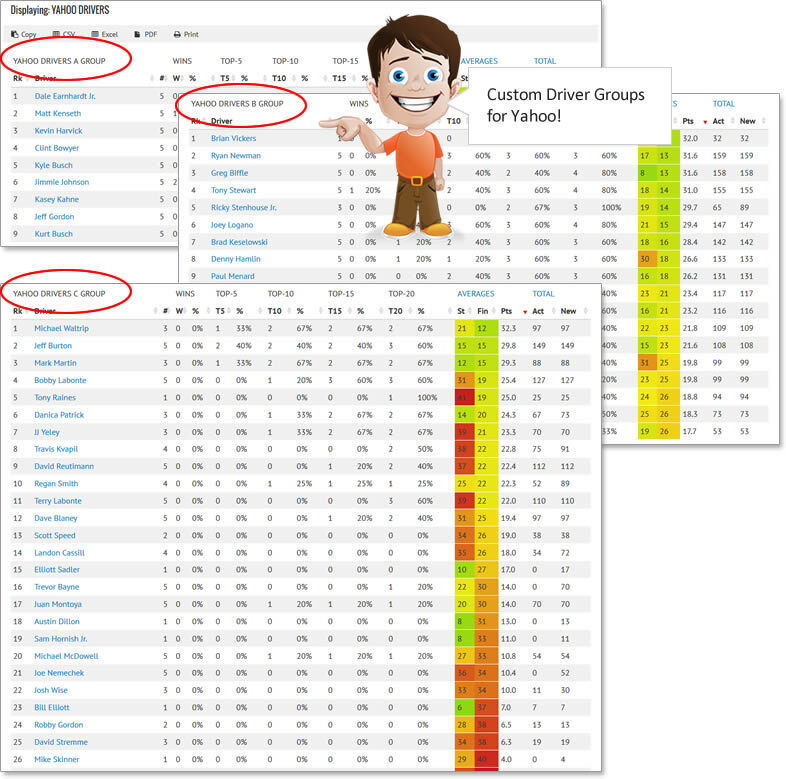 Expanded driver averages by track shows you where a driver averages in a wider range of finish positions. Top-5, -10, -15 and -20 along with average points as well as total points converted to both the old and new points systems.